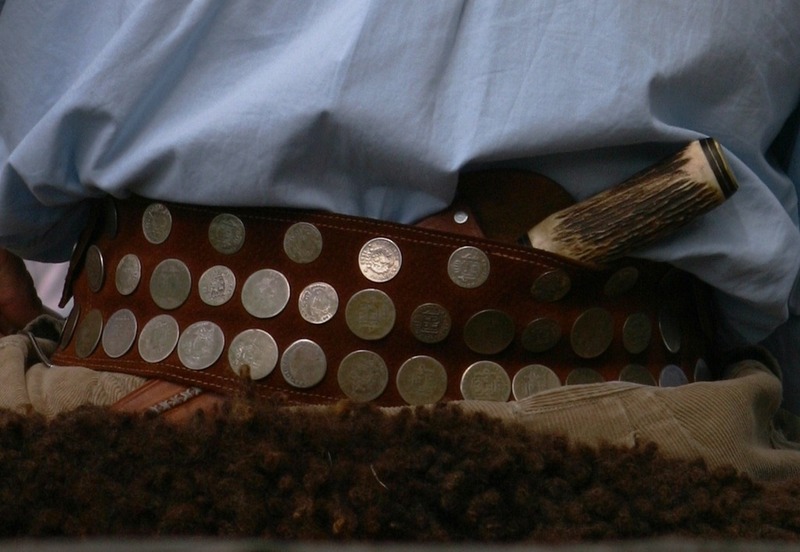 Once the gaucho roamed freely across the pampas, needing only a knife, a lasso and a good horse. 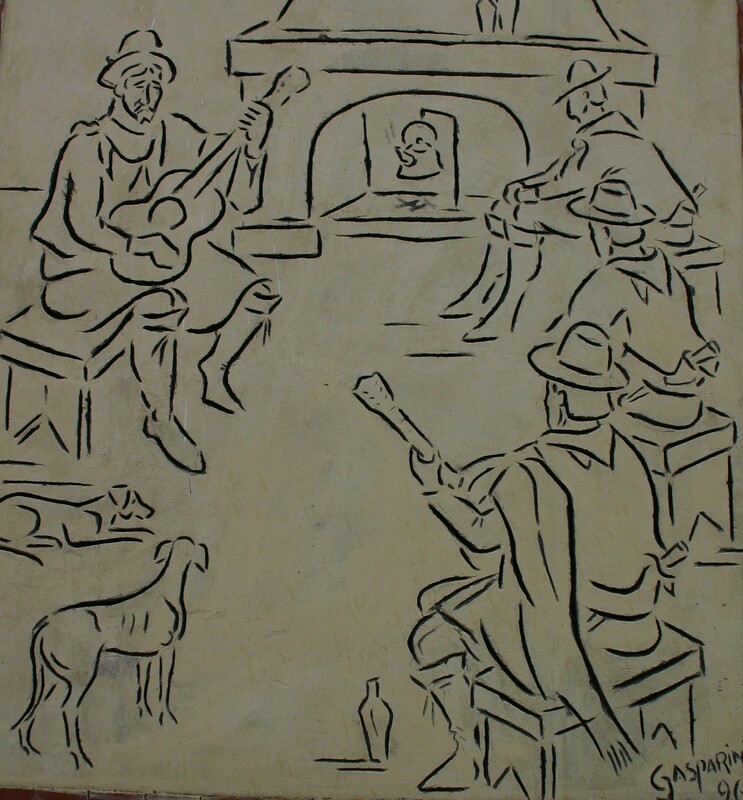 Considered an outlaw, he survived by his wits and lamented his misfortunes to the strum of a guitar, then vanished into legend. 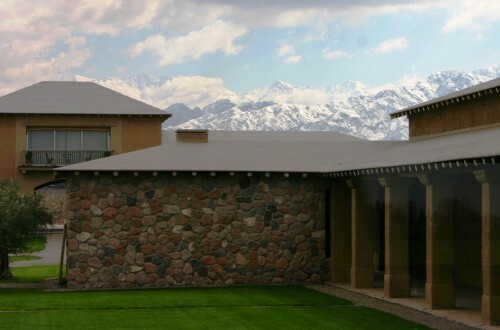 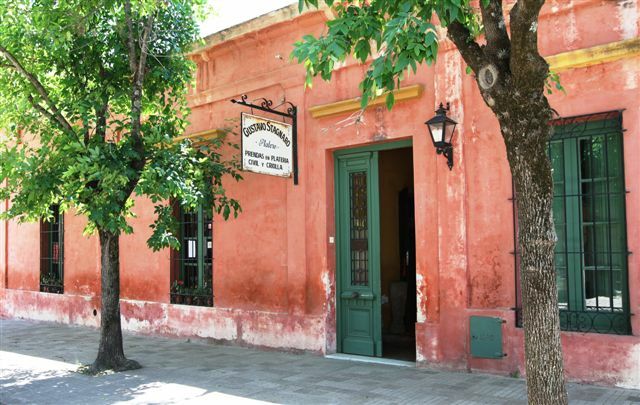 His noble virtues, however—courage, honesty, generosity, and a kind of humble toughness—endure in literature and in the soul of the nation, and nowhere is this more evident than in San Antonio de Areco, just 68 miles northwest of Buenos Aires. 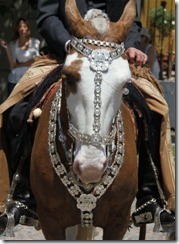 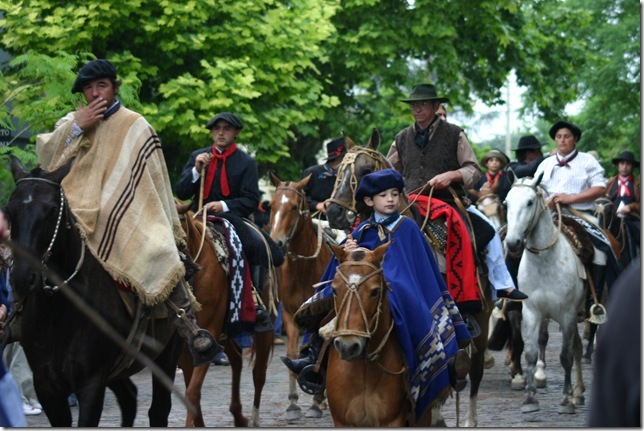 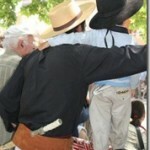 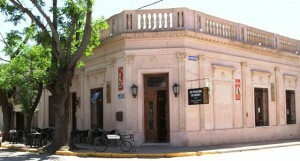 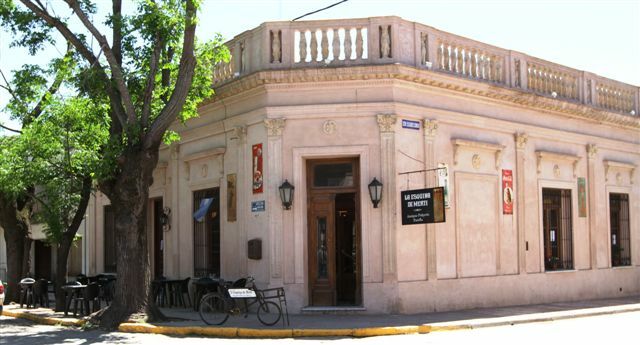 San Antonio de Areco celebrates its gaucho tradition. 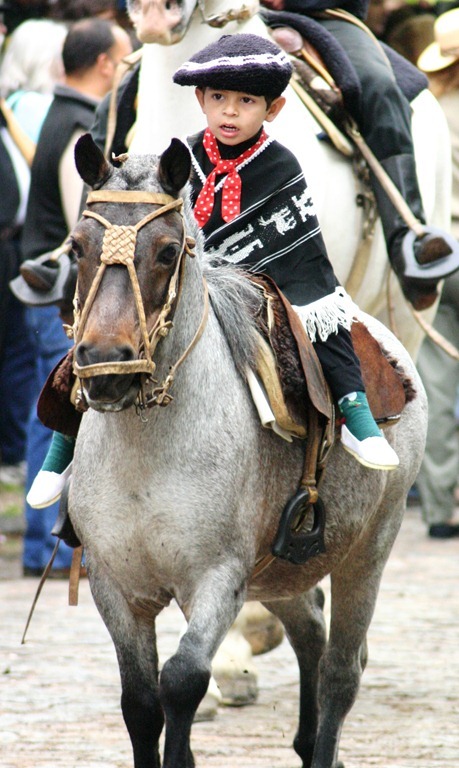 Hooves clatter on cobblestones, signaling the start of the gaucho parade– an event that occurs every November since 1939. 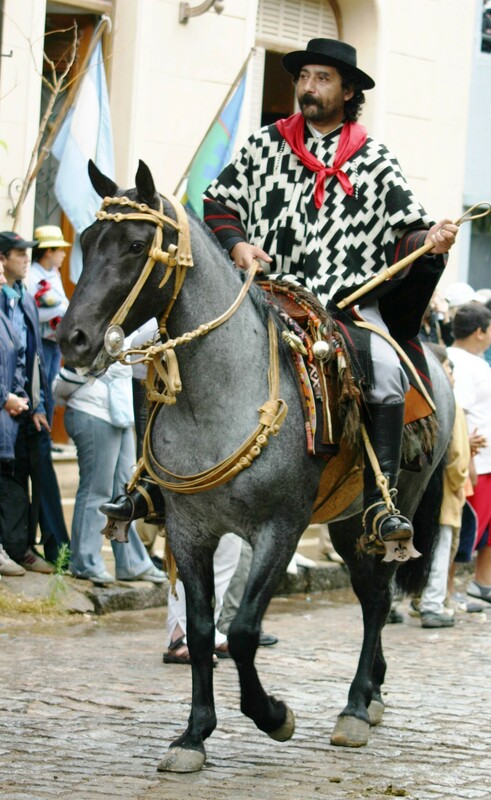 Estancieros from nearby ranches, paisanos (ranch hands) and campesinos from neighboring provinces line the streets. A chacarera blares from the loud speakers as Los Salteños (gauchos from the northern province of Salta) prance in front of the Plaza Arellano. 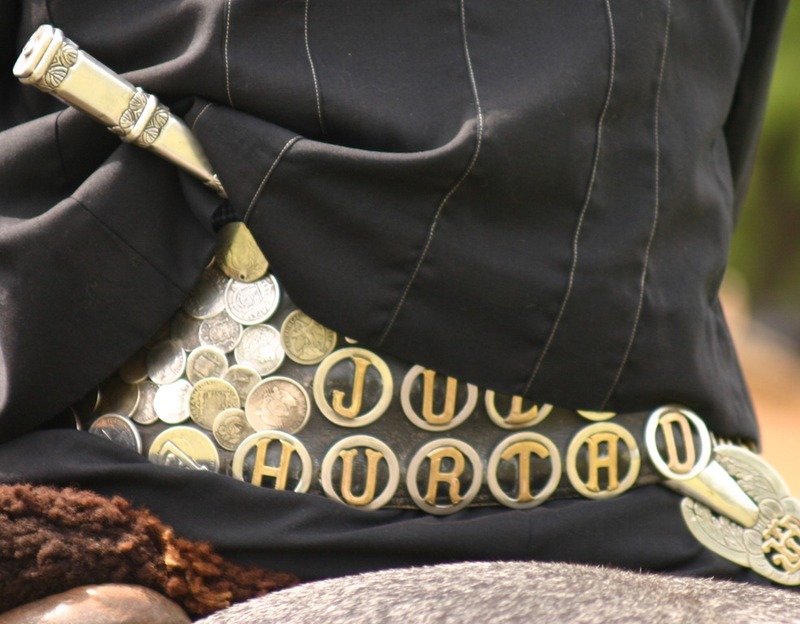 Spurs clink beneath giant rawhide chaps that wrap around horse and rider. 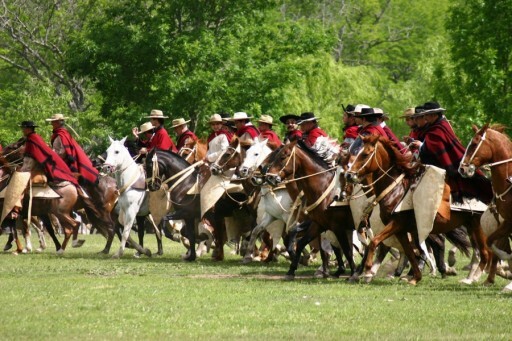 With their red ponchos thrown back, black broad-brimmed hats tilted forwards, they ride 4 abreast. 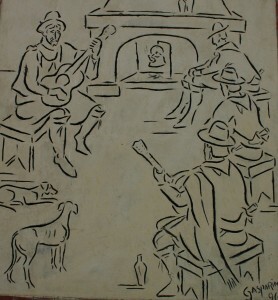 The crowd cheers, children wave. 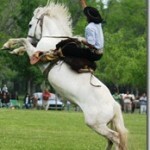 “Esto es Argentina!” my Argentine husband declares. We watch for hours, as thousands of horses and riders pass, dressed in traditional attire –the men in black bombachas (full, pleated pants) tucked into shiny boots or casually buttoned at the ankle above alpargatas (canvas espadrilles). 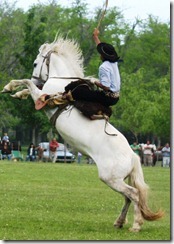 Women ride side-saddle. 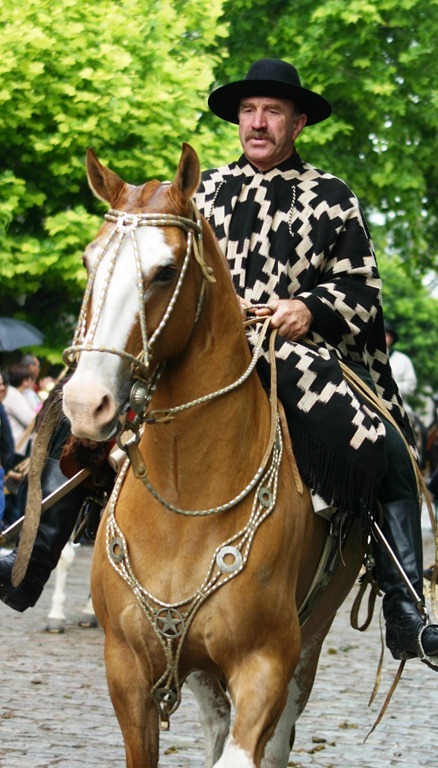 Ponchos in variations of a black and white geometric design lie folded on the front of the saddle or draped regally over man and beast. 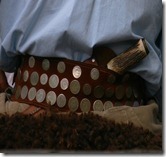 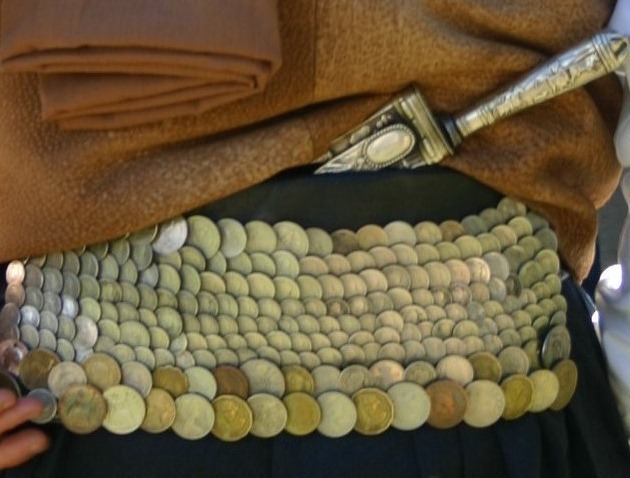 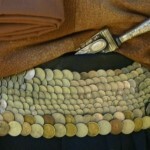 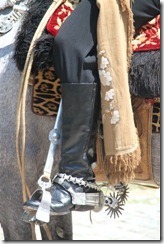 A hand-tooled facón (silver knife) protrudes from the back of their wide leather belts. Reins, ropes and rebenques (crops) exhibit the fine art of rawhide braiding. Silver bridles, stirrups, spurs and buckles gleam against black polished leather. 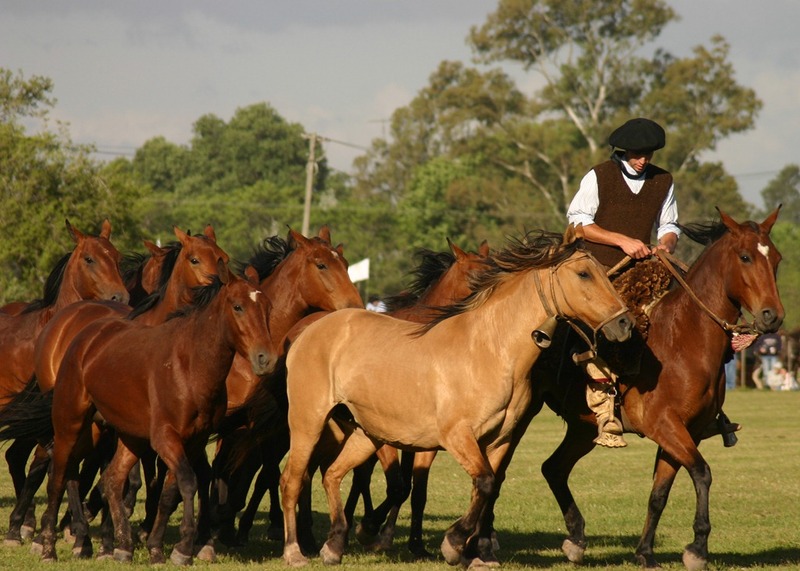 Las Tropillas—40 groups of 7 matching horses (the gaucho used 1 horse for each day of the week) enter with one rider and a bell mare per group, and begin to gallop around the arena-faster and faster in a cloud of dust—until they become one herd of flying manes and tails. 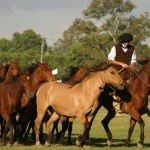 A whistle blows, and the first tropilla that re-groups with its mare, wins the coveted prize. 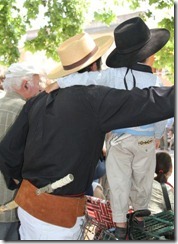 No parade of marching soldiers, tanks, guns and weapons can equal the grandeur of gauchos on parade. 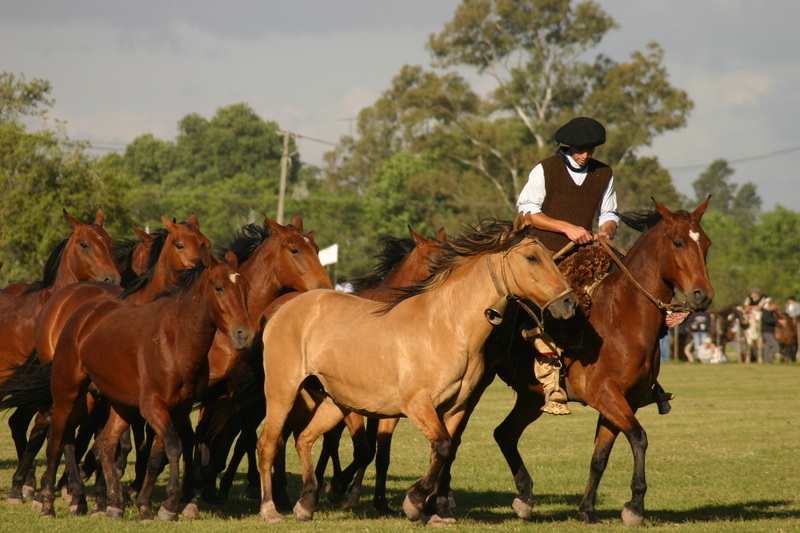 Whenever I return to Areco –the horses, the riders, the music, the people watching — all remind me that the true strength of Argentina is its tradition.